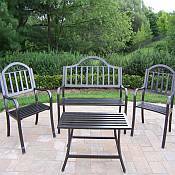 Picture yourself engaged in a delicious meal and exhilarating conversation at an outdoor gathering with your new, beautiful wrought iron or teak at the center of it all. 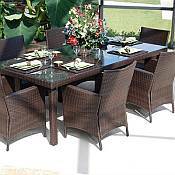 The elegance and comfort of your outdoor furniture sets the stage for a long and satisfying evening with your family or friends. 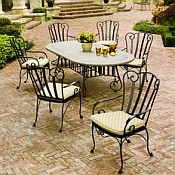 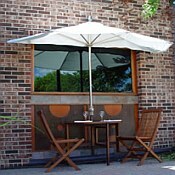 We offer a large variety of patio furniture, everything from Wicker Furniture to Wrought Iron Furniture. 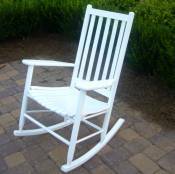 Perfect for your deck, lawn or garden. 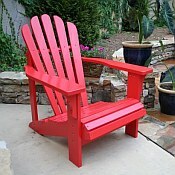 Alternatively, imagine a clear, bright morning...how can you not take a moment to relax on your cedar porch swing or lounge in your Adirondack rocker to sip a warm cup of coffee? 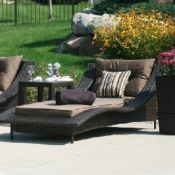 The comforts of your patio draw you outside. 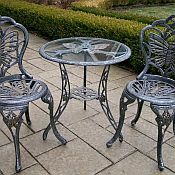 As the steam drifts quietly from your cup and the birds sing their cheerful morning song, you can't help but take this sense of peace with you during the rest of your day. 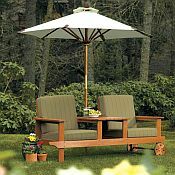 Making the natural spaces outside of your home just as livable as your indoor spaces doesn't require expensive furniture. 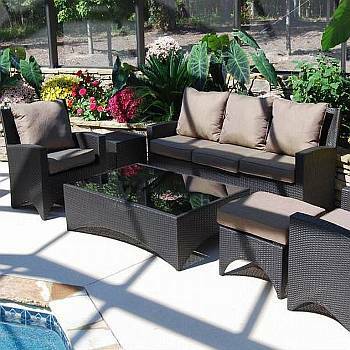 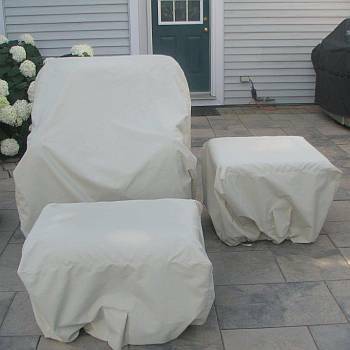 Furnish your patio or garden with our high quality, stylish, and durable pieces, and you may find yourself spending more time outside than inside. 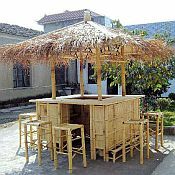 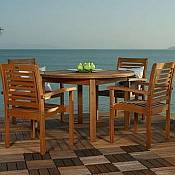 Whether you prefer patio furniture and garden furniture made of teak, cedar, oak, wrought iron, cast aluminum, or resin, you will find what you need here. 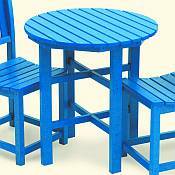 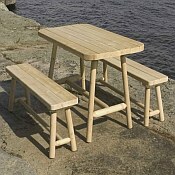 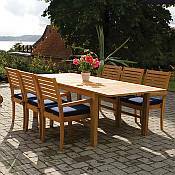 In addition to dining sets, we offer a fine selection of picnic tables, porch swings, chairs, benches, and gliders. 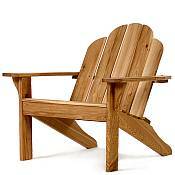 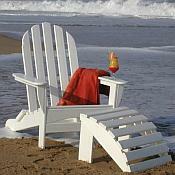 You will also find a beautiful variety of Adirondack Outdoor Patio Furniture. 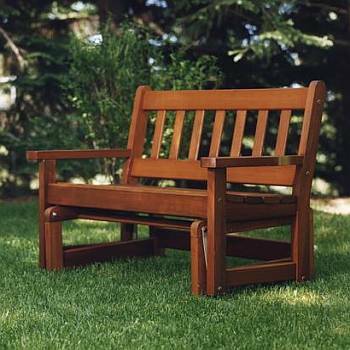 Our Adirondack Furniture is handcrafted from white cedar logs and follows the same American traditional Adirondack style that was started in the northeastern United States around the turn of the 20th century. 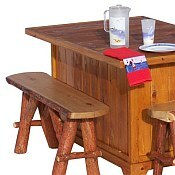 Even today, this style of rustic furniture is still very popular and can be seen in cabins as well as in backyards across the country. 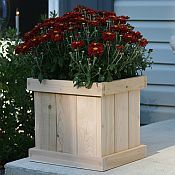 Finally, our wooden planters, potting benches, arbors, and trellises will provide that special finishing touch to your garden or patio. 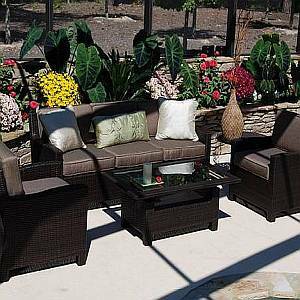 Read more about using your indoor furnishings to Inspire Your Patio Furniture Selection in this informative article. 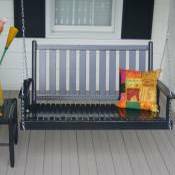 Please click on a link below for pricing information and details.